In this week’s 123RF World Travel Guide series, step into beautiful Armenian monasteries and uncover the hidden gems in breathtaking Bangladesh. The 123RF World Travel Guide strongly believes Armenia’s rich and ancient culture is unparalleled to the rest of the world. Here, you would be amazed by sublime landscapes, beautiful monasteries and be intrigued by national histories. Armenia is also widely regarded as the first nation to adopt Christianity. The millennia-old monasteries and crumbling churches are a testament to this, with the ninth century Tatev monastery being the best of the bunch. Additionally, the Sevannak monastic complex which overlooks the gorgeous Lake Sevan is not to be missed. If that does not float your boat, then perhaps the claim of the world’s oldest winery being found in the village of Areni might just do the trick. Furthermore, the imposing national icon of Mount Ararat is a truly majestic sight. 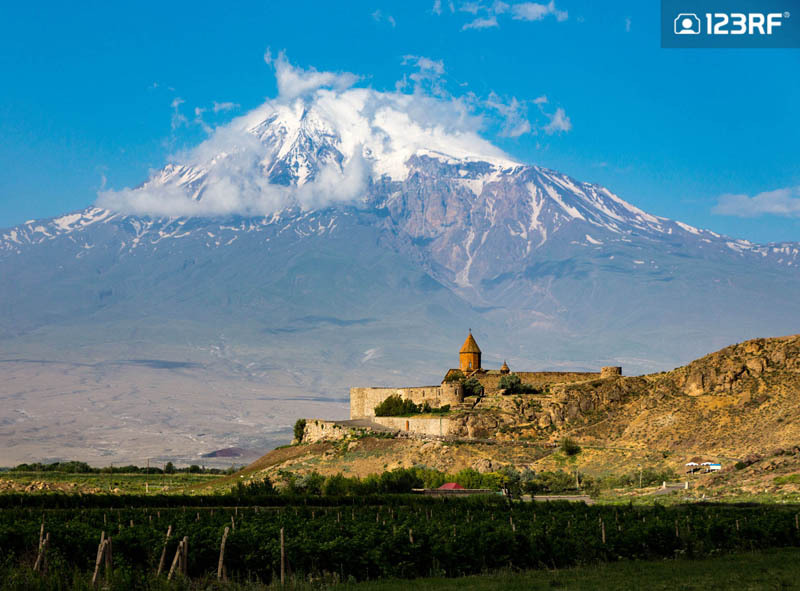 These snow capped mountains overlook the nation, and locals swear by Noah’s Ark being embedded in the ice atop the Ararat. For a taste of the Armenian life, swing by Yerevan. Also known as the pink city, and older than Rome itself, the nation’s capital promises to be a fascinating experience in your world travel expedition. 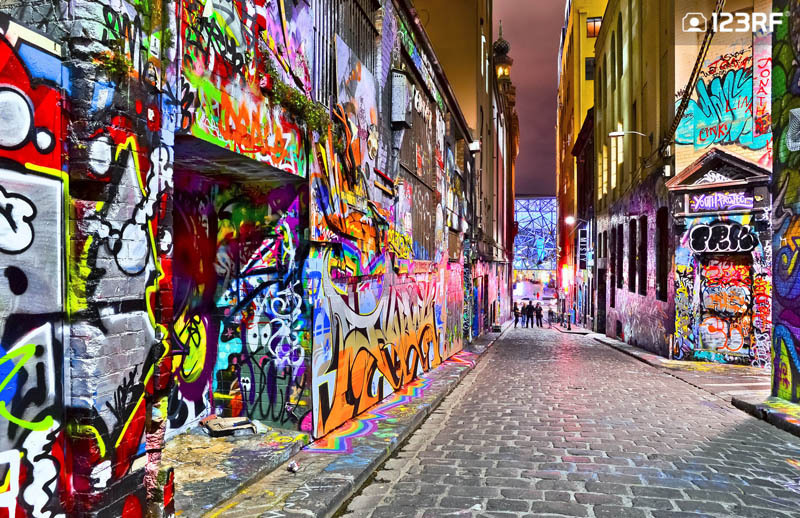 Colorful graffiti artwork at Hosier Lane in Melbourne. Image courtesy of Lin Chu-Wen@123RF. The 123RF World Travel Guide ranks the land down under as one of the friendliest places to live. And why not? Sundays rarely get any better than a couple of beers and a barbie on your mate’s backyard. Australia’s diverse landscape also offers a treat for every traveler. The charming Bondi beach and the vivid colors of the Great Barrier Reef are commonly found on every travel list. Meanwhile, the remote, rocky outcrops of Uluru and Kakadu are home to Australia’s diverse wildlife and sacred Aboriginal culture. On the contrary, Australia’s varied cities offers a travel experience like no other. Sydney is the nation’s poster child, with the majestic Opera House at the forefront of every Australian postcard. Tasmania represents the ultimate laid – back travel experience. Meanwhile, Melbourne is all arts, with a spectacular food scene which satisfies every craving you could ever dream of. Stunning alpine village in Hallstatt. In Austria, you can seamlessly waltz between the great outdoors and the contemporary city culture. You can go from the peak of the Alps, to indulging in the nation’s cafe culture, all within the blink of an eye. The 123RF World Travel Guide considers Innsbruck as Austria’s most picturesque locations. The medieval core of this Gothic and baroque city is a charm like no other. Additionally, the city’s outdoor activities of hiking and skiing makes for an adrenaline rich hobby. Salzburg meanwhile, is a music lover’s paradise. The birthplace of the legendary Mozart, the city has a series of concerts in honor of the artist. 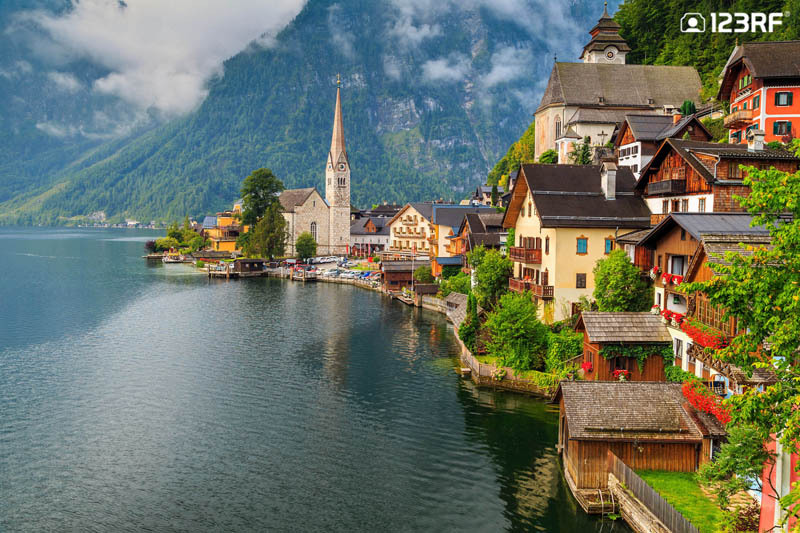 If there was a city to rival Innsbruck for beauty, consider a punt on Hallstatt. The nation’s most photographed village sits in Salzkammergut region, amid a magnificent river and grand mountains. Finally, for your sweet tooth indulgence, opt for a stay in Vienna and embark on a journey to seek out the best cakes for your dirty desert desires. 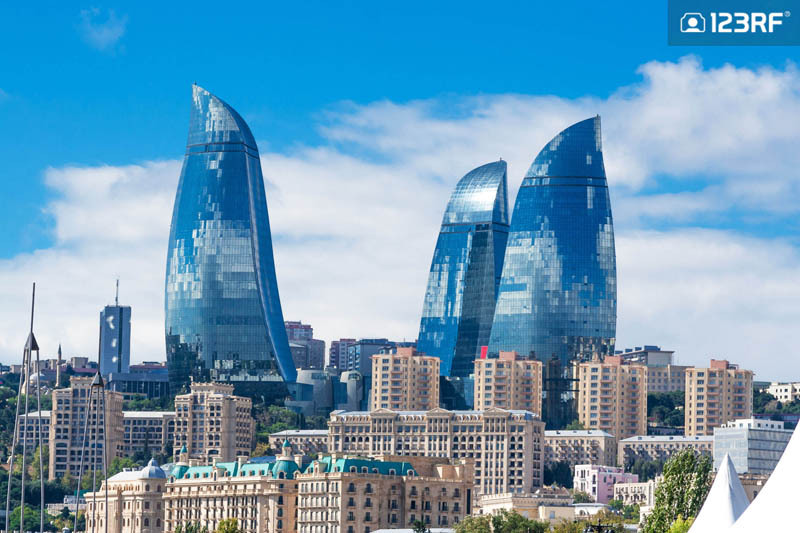 The iconic Flame Towers in Baku. Image courtesy of Sergiy Lukutin@123RF. “Where?” If you had a dime for all the times you were asked to clarify on your upcoming travel plans, you would be as rich enough to own an oil rig. Neither Europe or Asia, this predominantly Muslim country has alcohol widely available. However, in the pursuit to find an answer of Azerbaijan’s identity, one thing is certain. The 123RF World Travel Guide has figured out that you have to see Azerbaijan for yourself. The nation’s oil boom has massively contributed to the tourism industry. Baku is slowly but surely developing into the new Dubai. When you are here, the Flame Towers is not to be missed, as it contributes to the nation’s tagline as the Land of Fires. What also set’s this tiny country apart is the landscape contrast. Home to all but two of world’s climate zones, Azerbaijan enables visitors to soak in the sun, ice and greenery. Thus, this is exactly why this nation deserves more than just a place in your browser history. Gorgeous views from the Atlantis Hotel in Nassau, Bahamas. Image courtesy of Worachat Sodri@123RF. 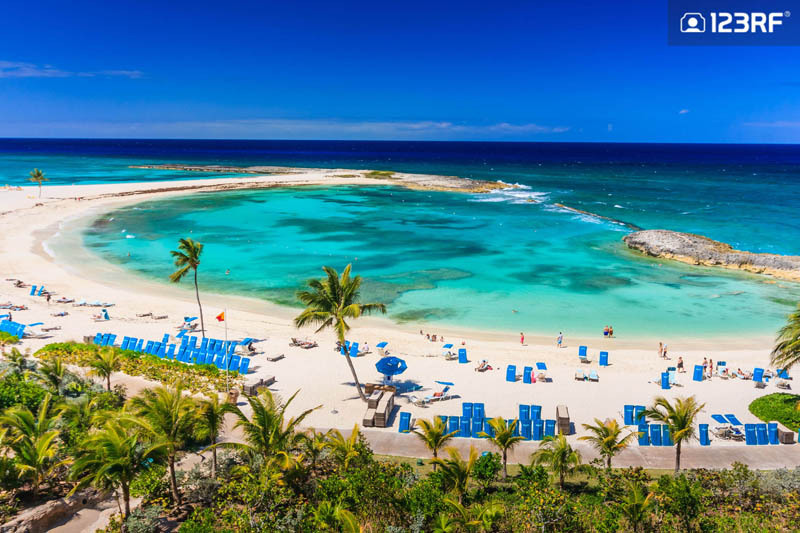 The Bahamas consists of a string of 700 stunning subtropical islands. Although most of these are uninhabited, the spectacular corals and white sandy beaches have seen a couple of these islands urbanized into luxurious retreats. Harbour Island bears testament to this claim. Here, supermodels and Wall Street wolves swing by for the shimmering pink sand. The lavish lifestyle also translated into the swanky bars and restaurants dotted along this island. Meanwhile, for adrenaline junkies the 123RF World Travel Guide recommends a trip to Exumas. Here, kite-boarding and kayaking would be preferred over walking by the beach. Additionally, the rugged Andros offers you the chance to explore the underwater riches of its coast. Finally, for a full-fledged Caribbean experience, stop by Nassau and indulge in the most vibrant city of the Bahamas. Picturesque Manama skyline at sunset. 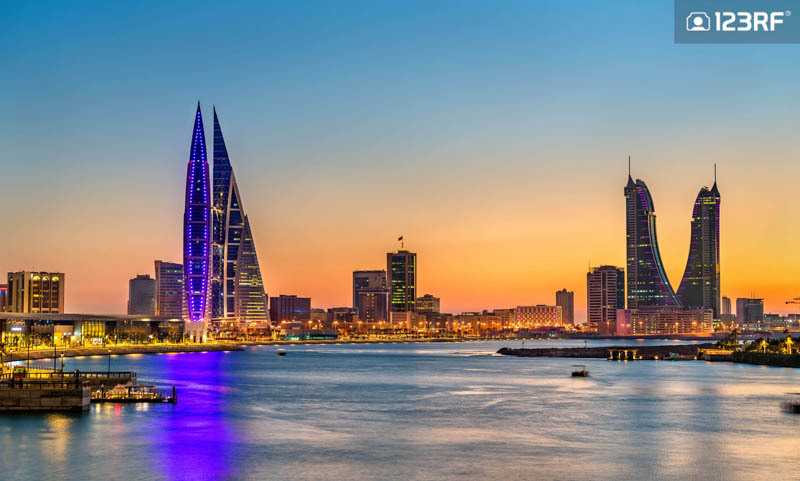 Bahrain may lack the charm and elegance of other Gulf nations, but it still accommodates a strong appeal for those to have the Middle East all for themselves. Manama is the capital city. And likewise, it does lack the finesse of other Gulf capitals. However, The 123RF World Travel Guide believes it makes up for it with the souq. This one stop market sells everything from bargain tees and electronic supplies to exotic spices and shisha. For architectural buffs, the iconic Grand Mosque is a must. The massive complex is arguably the most impressive sight in Bahrain. On the contrary, history buffs should visit the National Museum. This eye-opening passage through to time provides an excellent introduction into Bahrain’s past. The archaeological finds from ancient Dilmun are often the museum’s main attraction. Next, take a boat out to the Hawar Islands and look out for the flamboyant flamingos. Or if you are lucky enough, you might spot a dolphin enjoying a swim in the warm Gulf seas. 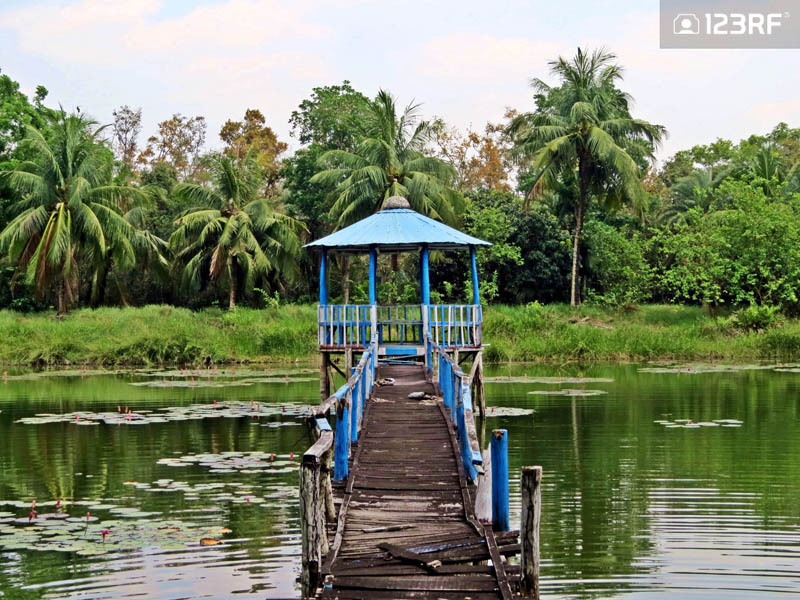 Enjoy a lush getaway at the Sundarbans National Park. “Bangladesh? Is it safe?” This is the exact response from every soul when Bangladesh is mentioned as a travel destination. However, south Asia’s hidden gem is a country that cries out to be explored. Braided by a set of 700 rivers, this nation is the perfect spot for a lush getaway. The Sundarbans National Park takes the top spot for sightseeing, and rightly so. Here, discover the world’s largest mangrove forest while you hunt down the magnificent Bengal Tiger, all of which makes a dreamy experience. Next, continue your exotic getaway with a trip to Srimangal. The dense forests and endless tea plantations makes for a noteworthy highlight in your Bangladesh escapade. Meanwhile, the sprinkling of tribal villages and sanctuaries only amplifies the beautiful experience. Finally, end your trip on a high note as you hike up the gorgeous countryside of the Kantanagar Temple. This spectacular religious artwork is easily the most impressive Hindu shrine in the country. Next up on The 123RF World Travel Guide, join us as we take a dive into the Caribbean waters of Barbados and explore one of the best colonial streets in Bolivia’s colorful Calle Jaen. Alternatively, catch up on our previous series which uncovered Afghanistan all the way to Argentina. Finally, visit our pinterest page for creative inspiration and be sure to check out more amazing stock images to satisfy your wanderlust cravings and breathe life to your travel stories for your blog, magazine or website!